The Denison Internship Program offers our students a structured learning experience as they explore career fields and apply academic coursework to the workplace. Each year, our program promotes and engages in a variety of internship opportunities across the globe that are typically conducted over the summer months. We expect our students to learn and develop professionally through a three-tiered partnership between students, supervisors, and the The Knowlton Center for Career Exploration staff. The Knowlton Center for Career Exploration – (career@denison.edu) asks that alumni and employers interested in promoting internships at Denison post their positions through Handshake. Once a student receives an offer letter/email, The Knowlton Center for Career Exploration requires a copy of said letter along with the student’s completion of an internship registration form. All hires should be reported to the The Knowlton Center for Career Exploration staff and formal evaluations are requested from both students and supervisors near the end of each work term. Evaluations are made available through the Handshake portal for your convenience. Denison students are encouraged to explore career fields and apply academic coursework to the workplace through internships and other forms of integrated learning. Through the Denison Internship Program, current students can take advantage of a structured learning experience, created by a three-tiered partnership between students, supervisors, and the The Knowlton Center for Career Exploration team. 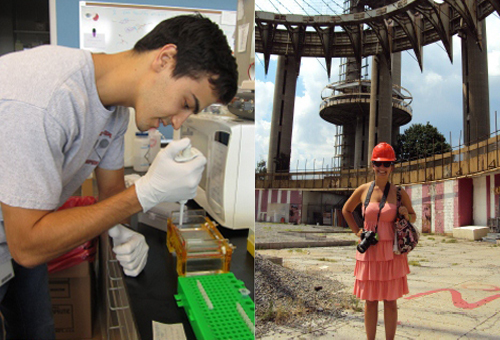 True internships fuse classroom knowledge with practical application. CE&D asks its employer partners to acknowledge and support the following standards supported by the National Association of Colleges and Employers (NACE), the U.S. Department of Labor, and other resources promoting best practices, before plans to hire Denison interns are solidified. Internships must be an extension of the classroom and apply knowledge gained in the classroom to a hands-on experience. They should not simply advance the operations of employers or do the work that regular/seasonal employees would routinely perform. The skills and/or knowledge learned must be transferable to other employment settings. Experiences must have defined beginning and end dates. Job descriptions are required in advance and must contain desired qualifications. The nature of the internship – paid or unpaid – should be clearly defined in the job description and agreed upon by the employer and student prior to the internship. The intern is not entitled to a job at the conclusion of the internship. There must be one primary supervisor – a professional with expertise and educational and/or professional background in the field of the experience. There must be routine feedback by the experienced supervisor. There are resources, equipment, and facilities provided by the host employers that support student learning objectives/goals. Upon hiring a Denison intern, the employer must sign the Agreement of Indemnification and Release form prior to the internship; this form is provided separately after hiring a Denison student. Supervisors must complete an evaluation form for each intern; this form is administered by the college near the end of the internship term. Whenever possible, pay your interns at least the minimum hourly wage aligned with your state of employment. Interns within for-profit workplaces should not work more than 40 unpaid hours per week without compensation for hours worked. In order for Denison to promote unpaid internship experiences with for-profits through CE&D, this practice must be enforced. Students must develop clearly defined learning objectives/goals related to academic coursework and career interests at the onset of the internship. When completing the internship registration form for CE&D in their respective Handshake portals, students are expected to state said objectives/goals. Students are encouraged to seek the advice of both their respective internship supervisor and a member of the CE&D team when completing this orientation. They must also complete a short answer form halfway through their experience, along with a self-evaluation toward the end of the experience. Only after students complete the necessary assignments surrounding their internships will the Registrar be informed that their work was satisfactory. If you are interested in promoting a summer internship opportunity, please request to join Handshake. Students need to make travel/living arrangements when selected to intern, so we encourage our employer partners to offer prompt feedback regarding offers. Internships must offer a minimum of 100 working hours. We strongly encourage internships of greater lengths to provide maximum benefits to all parties. Please report concerning situations involving Denison students to career@denison.edu or 740-587-6656 so that we can help resolve any issues that may arise. 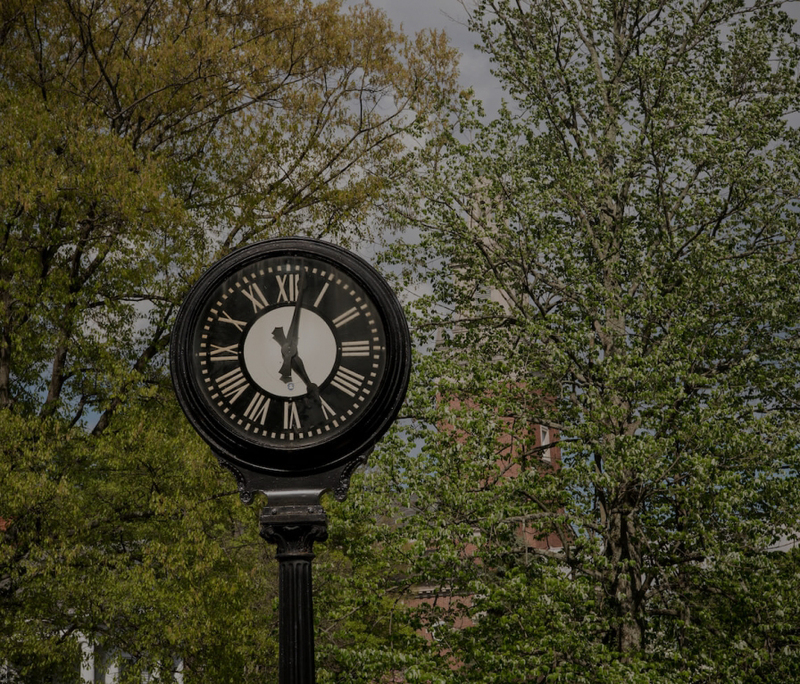 Please be aware that Denison Summer Break starts after commencement in May. Should you have any questions regarding registering your internship or the Denison Internship Program in general, please contact career@denison.edu.